HIGHGATE WORKS - Attractive craft workshops and small offices available to let at the edge of Ashdown Forest, just half a mile south of the village of FOREST ROW in East Sussex. POSTCODE RH18 5AT. ORDNANCE SURVEY MAP HERE. 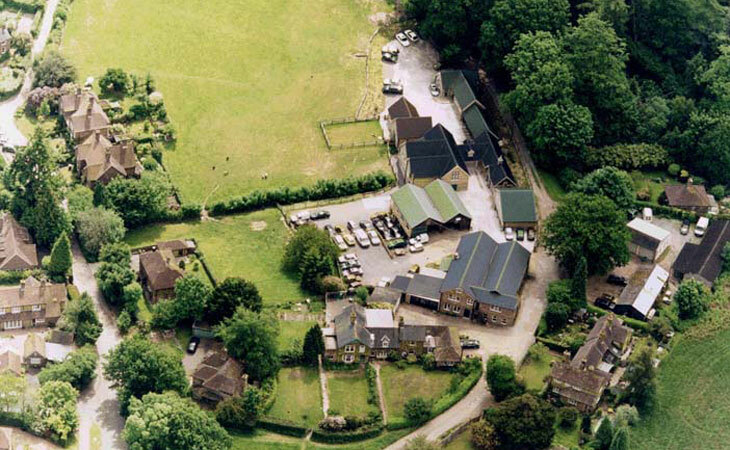 Many different and versatile buildings from 120 sq ft to over 1000 sq ft. Set in attractive countryside at the edge of a meadow usually full of sheep and lambs in springtime. You should meet shepherd Graham Divall at some point because he is here every morning and evening.